Backyard Makeover: How to Plan It? Designing the perfect backyard will provide you with a great number of benefits, from increased home value to more enriching home experience. But, how to start planning your backyard makeover? Of course, you can always rely on the best experts for landscape design in San Diego County who will provide you with invaluable help and advice. If you don’t know how to start designing your backyard landscape, you can always research the guidelines on designing a backyard garden or advice on landscaping a small patio. 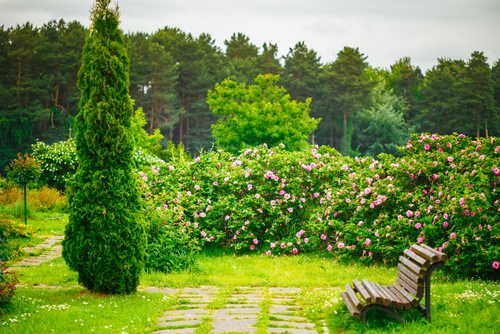 What are the basic principles of landscape design? When renovating your backyard and planning the perfect landscape design, you need to know some of the basic principles. This will help you create a harmonious look that exudes tranquility and serenity. Mind the proportion: Your landscaping elements should be proportionate so that your backyard haven can look balanced and well-designed. This will also help you make the most of a small or overly spacious backyard. Strive for unity: A sense of unity in your backyard will create a cohesive look that will accentuate the connection between different elements. You can achieve this principle by embracing a specific style or theme in your backyard. Don’t shy away from repetition: Repeating certain elements in your backyard design will help you create enchanting patterns that will inspire a feeling of familiarity. Establish order: Both symmetry and asymmetry can help you create a sense of order in your backyard, bringing a balanced, inviting atmosphere. Although these basic principles can help you design a charming, welcoming and relaxing backyard, you still need to follow the San Diego County Landscape Ordinance guidelines. So, it’s always better to consult with the experts and let them take care of the work. How much does it cost to have a landscape design? Wouldn’t you like to have a dreamy backyard paradise where you can relax with your family and friends or escape from the hustle and bustle of an urban city? This is more than possible, especially if you book the most dependable landscape services. You’ll capture the laid-back vibe of the Balboa Park right in your backyard. Transparency: You don’t want to be unpleasantly surprised by some hidden costs or additional expenses once the project is completed. You should always know what to expect from your landscaping company. Quotes: You should go with a company that will provide you with a free quote. Typically, experienced landscape professionals will stop by to take a look at your property, discuss your ideas and give you a price estimate. Budget: Most importantly, you should set up your budget and try to stay within its limits. You don’t want to end up spending more than you can afford. How to landscape a yard on a budget? Do some maintenance: Even a simple update like trimming your bushes or mowing your lawn will give your backyard a fresh, charming look. 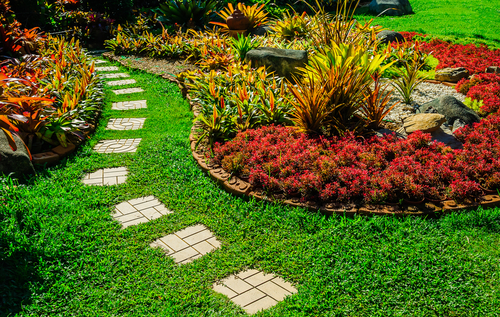 Create a garden path: Designing a meandering path in your backyard will give your outdoor haven a more structured look. And all you need to do is go with first-rate pavers from a reliable provider. Introduce a water feature: Whether you want a small water fountain or a lovely pond, such a stunning addition can turn your backyard into an oasis. Don’t forget a fire pit: This is another simple element that you can add to fill your backyard with coziness and comfort. Pacfic Dreamscapes brings you an opportunity to design a backyard sanctuary of your dreams. Our experienced landscape designers have plenty of experience and practical knowledge in the area, promising the highest level of quality and expertise. We boast a range of top-notch landscape elements, from whimsical pergolas to enchanting waterfalls. You just need to share your landscape ideas with us and we’ll start planning your perfect design. Book a consultation today!